Azure App Insights is very useful to track user interaction on our business applications. And as it turns out, Gatsby is very good to make business applications with. 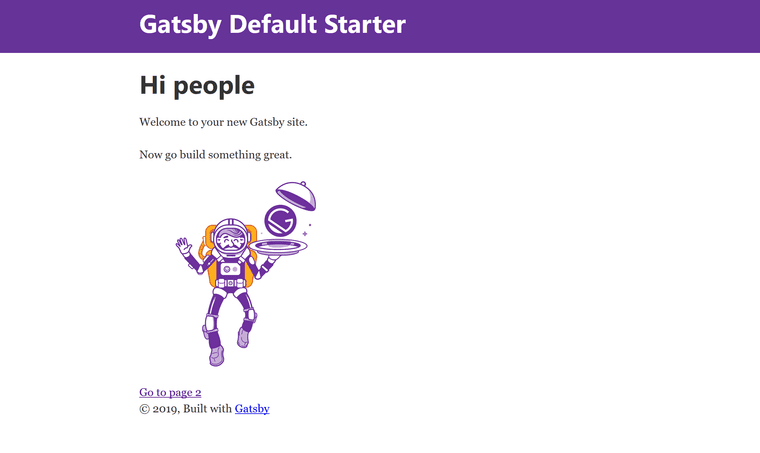 I'm going to start off by making a new Gatsby site. Open up "localhost:8000" in your browser and see the default starter. 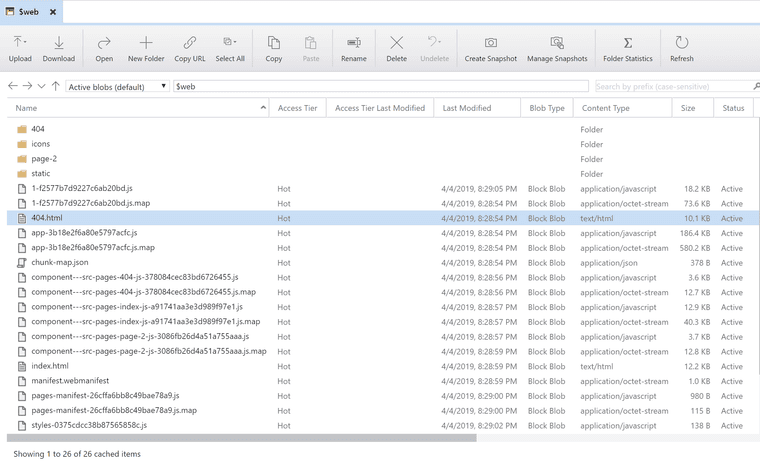 A more full-fledged pipeline might be better, but for now I'm just going to create a storage account and deploy to that. 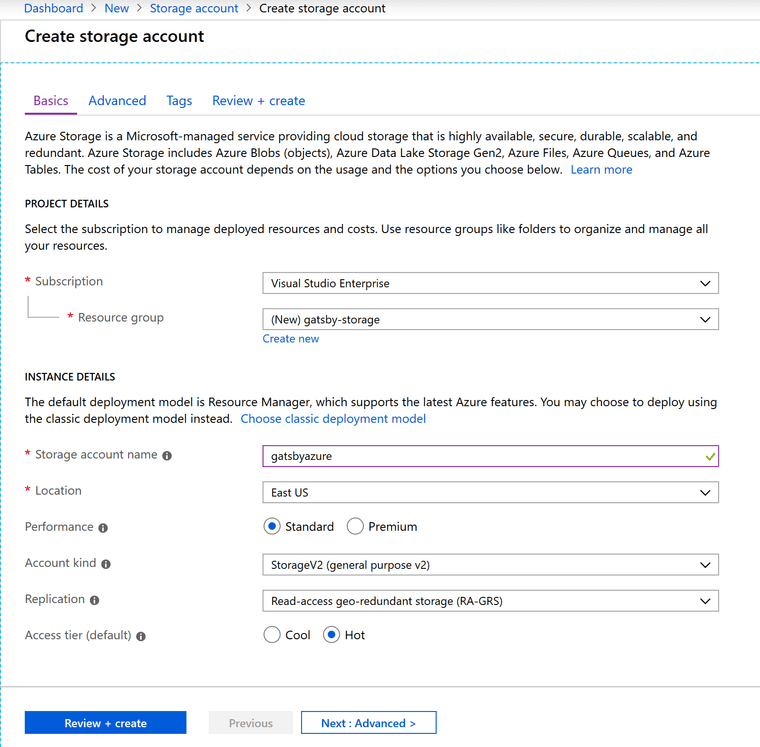 I can create a production build with npm run build and upload it with Azure Storage Explorer. 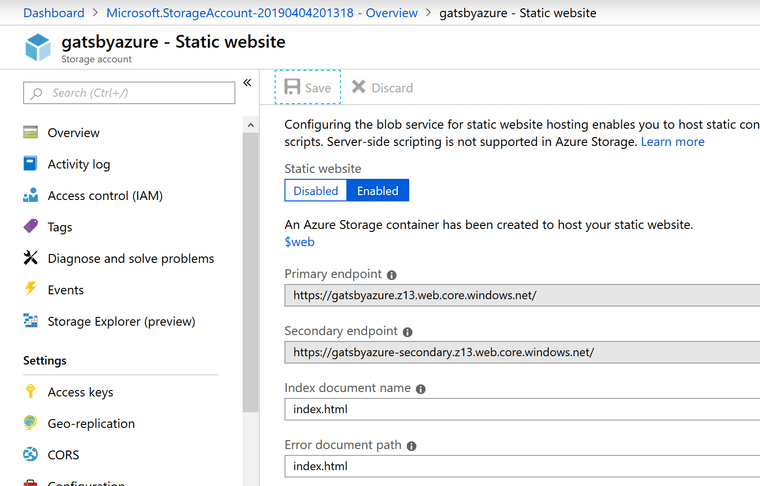 Now let's add Azure App Insights to our application by hooking into the Gatsby Browser API with the tracking code as shown in the Azure Docs. 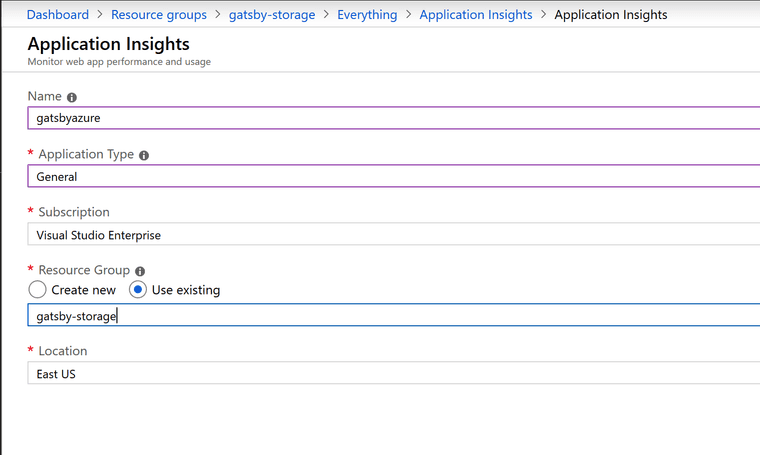 Do replace <YOUR INSTRUMENTATION KEY FROM AZURE APP INSIGHTS> with your actual key. 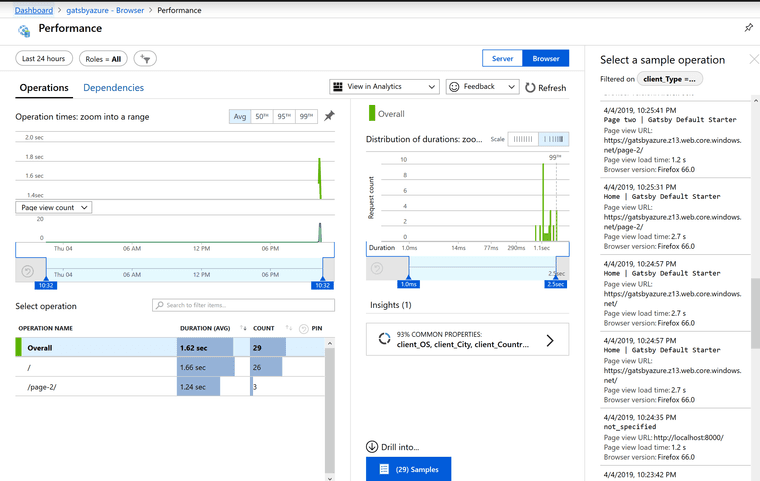 instrumentationKey: "<YOUR INSTRUMENTATION KEY FROM AZURE APP INSIGHTS>"
Back in the Azure Portal on the App Insight, click on Browsers and inspect your website. Gatsby is well suited for business applications that track user metrics which are used to make informed decisions.